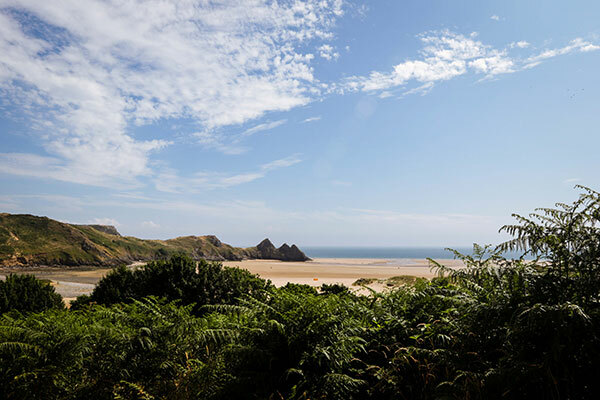 Just a short drive from Swansea, the Gower Peninsula in South Wales is home to some of the UK’s finest beaches, tidal islands, ancient woodland and stunning coastal paths. 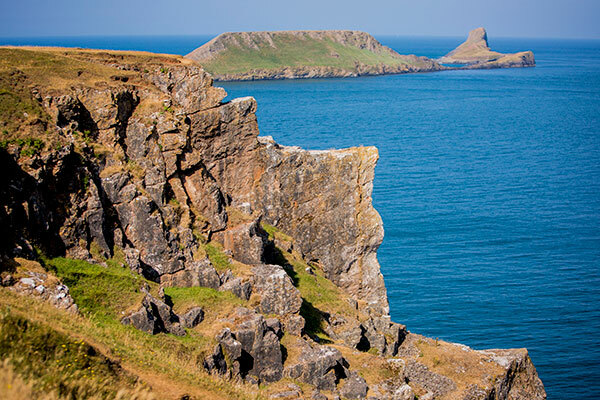 Home to some of the very best sections of the Wales Coastal Path, the Gower was designated as the UK’s first Area of Outstanding Natural Beauty (ANOB) back in 1956, and we’re glad to say it hasn’t changed much since! 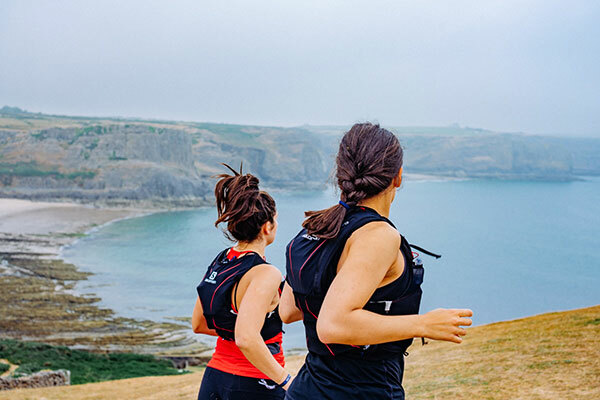 The rich and varied environment is breath-taking (and we’re not just saying that!) – From wild moors and limestone cliffs to golden, sandy beaches. 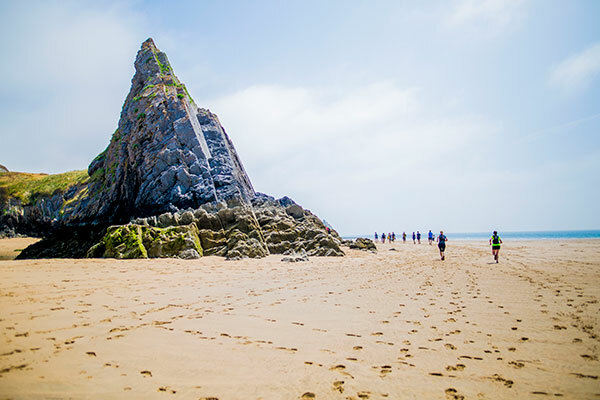 Gower is a geological goldmine of inspiring landscapes. 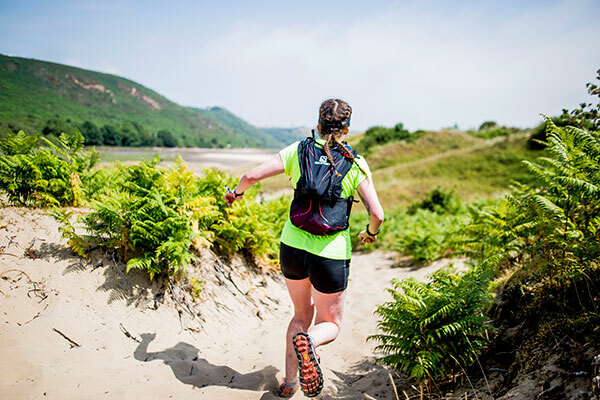 From trail running, to surfing, coasteering, rock climbing, paragliding, sea kayaing, wild swimming – the Gower has it all in spades! 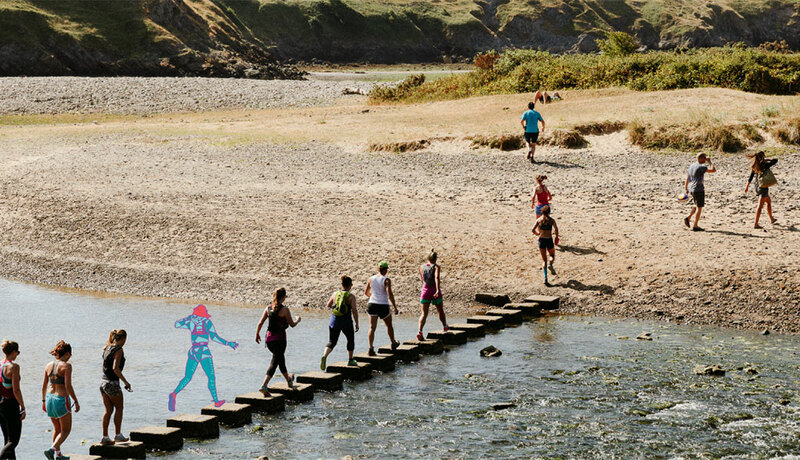 Our very own adventure playground for the weekend, you’ll head out to explore Gower on guided and self-guided adventures, starting and finishing at the festival site. The closest train station to Love Trails is Swansea. From there, it’s a 27min drive to the festival site. You can get a coach direct from Swansea train station to the festival on the Thursday or Friday, and back again on the Sunday or Monday. More information coming soon. You could also take a taxi (£15 each way) from Swansea station to the Love Trails site. Please note that to park at Love Trails Festival you’ll need to have pre-purchased a car park ticket. You’ve made it! The Love Trails site is on the right hand side – follow the festival signage to the car park. If you want to travel to Love Trails by bike (awesome!) then you’ll be pleased to hear we have free bike racks available. Please note that bikes are left on site at the owner’s risk. We are pleased to be working with Big Green Coach for 2019 who will be offering return coach services from London and Cardiff. Get dropped in the heart of the festival site on Thursday in time to find the perfect spot and they can take you home on Monday morning. Don’t worry about that long drive home, you can sleep all the way! Already got your ticket? Book your coach travel here.